Fleet Management innovator ARI (www.arifleet.co.uk) is the latest organisation to join the Association For Driving Licence Verification (www.adlv.co.uk). 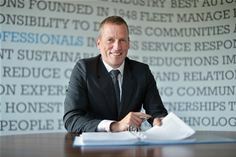 The move reflects the Association’s growing popularity with Fleet Procurement Managers, who now see the benefits of regular online licence checking. There is also an appreciation, by the trade, that the ADLV supports Health and Road Safety legislation, meets ISO 27001 requirements & advises members on how to prepare for GDPR. Combined, the perception of both existing members and new recruits is that the ADLV now offers fleets a proven hub for good practice, enhanced governance and compliance. Commenting on their decision to join the ADLV, Matt Cranny, Operations Director of ARI says, “As a company that checks thousands of licences annually, we must align ourselves with partners that ensure consistency and corporate responsibility at a membership level. ADLV’s rigorous Code of Conduct, which underwrites the Association’s operations, shares our focus on the development of best practice, building efficiencies and introducing innovation.